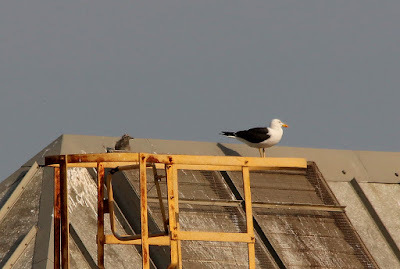 There were seven (six juveniles and an adult) Mediterranean Gulls and a juvenile Yellow-legged Gull at the Patch this morning and two Grey Wagtails flew over. 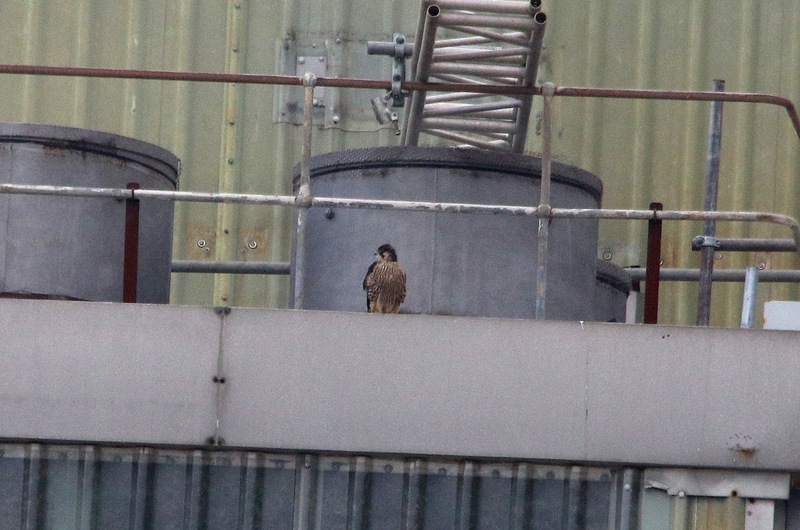 The Peregrine Falcon nestlings were in process of fledgling with one young having left the nest and flown across to 'A' Station while the other two young looked on from the edge of the nesting platform. 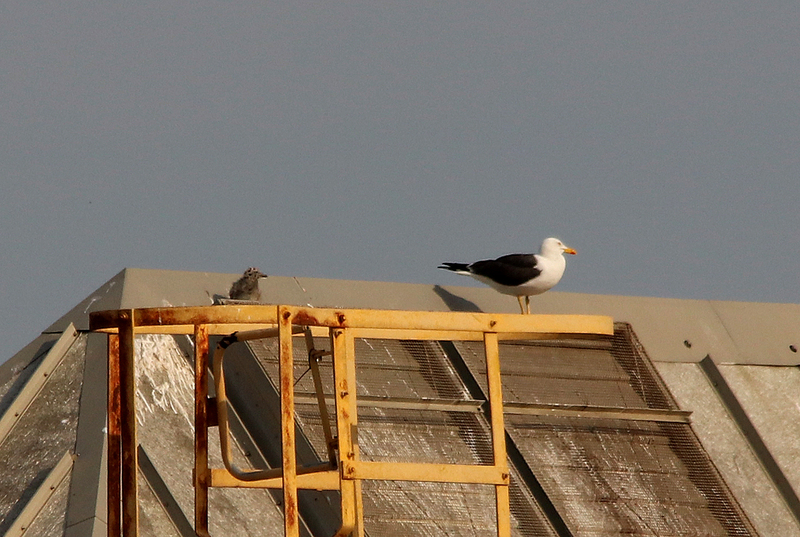 It was also noteworthy to see a fairly well grown nestling Lesser Black-backed Gull in one of the nest sites. 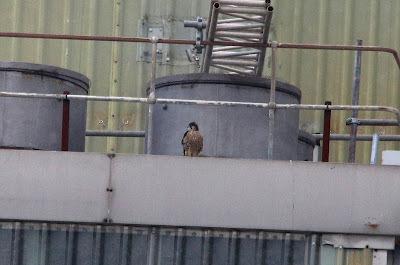 This species was first noted nesting on the power stations in 2009 but I think this is the first time I have seen a large nestling there. 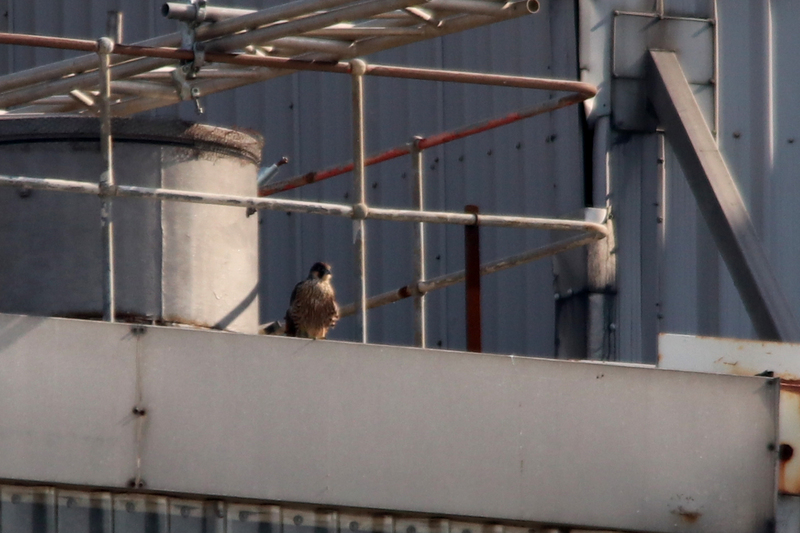 They are usually predated or get blown out of the nest. 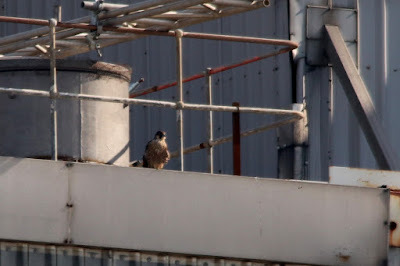 There was also a brood of very recently fledged Black Redstarts on the power station wall. The moth traps were very quite last night with just a Cherry-tree Ermine Yponomeuta evonymella (a presumed migrant) and an L-album Wainscot of note. The first of the three young to leave the nest. In addition, a Cattle Egret was found at Dengemarsh on the RSPB Reserve.